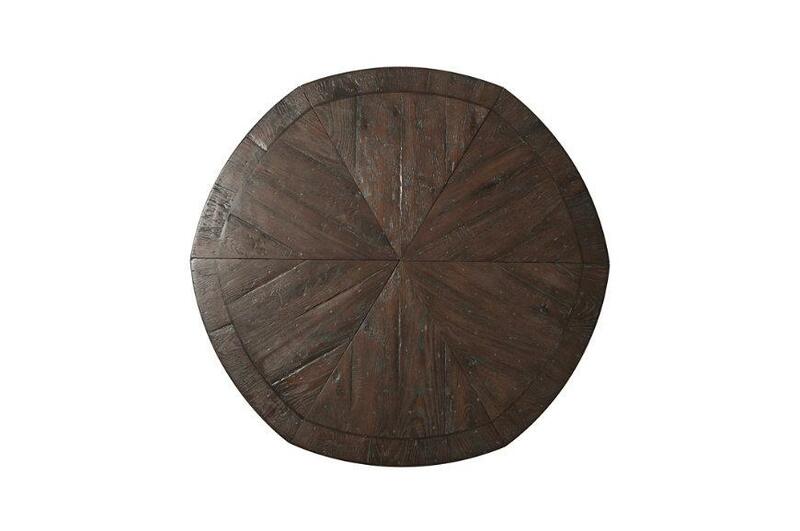 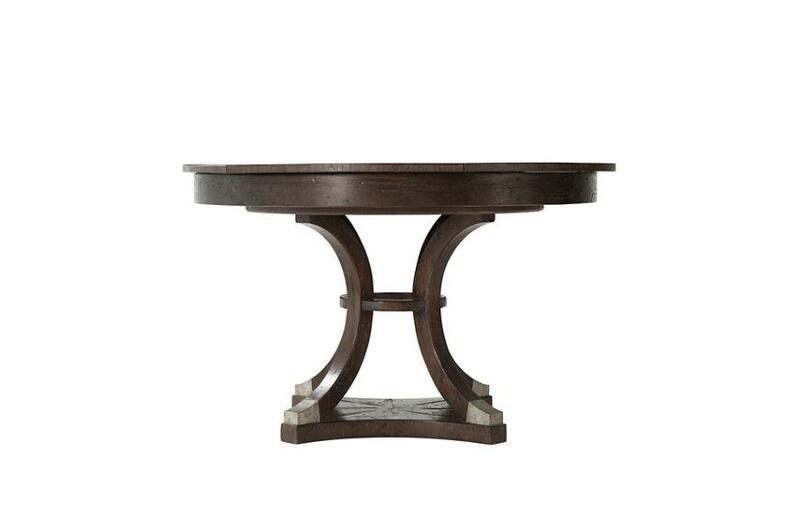 Description: Round dark oak finished inlaid dining table with self storing leaves. 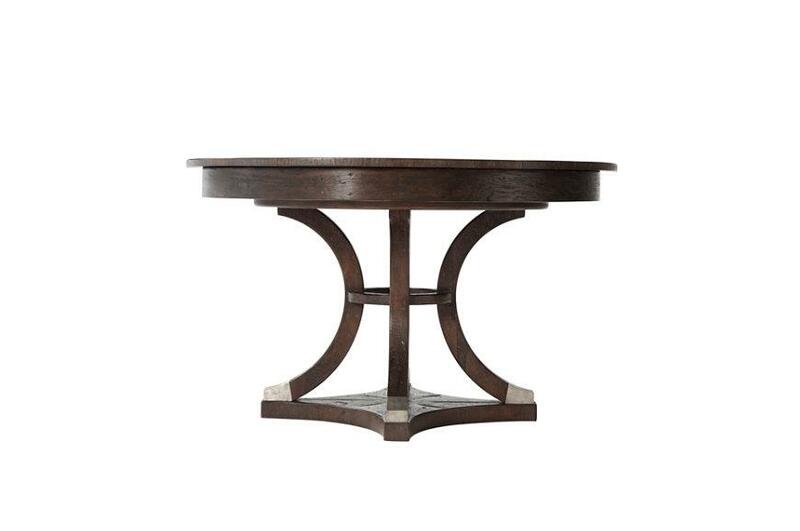 Featuring a vintage accent of aluminium capping on the feet of the pedestal for a pleasent contrast. 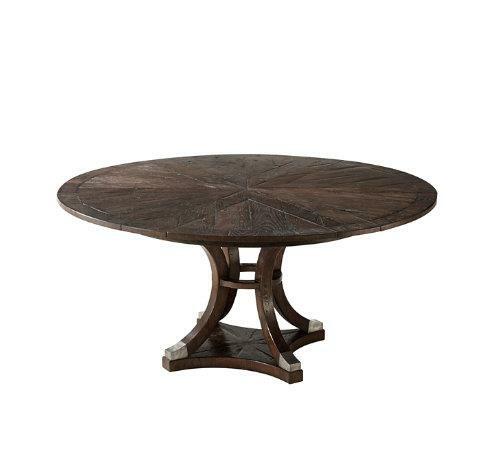 Six silding extending sections allow this table to expand to a larger diameter of 16 more inches. 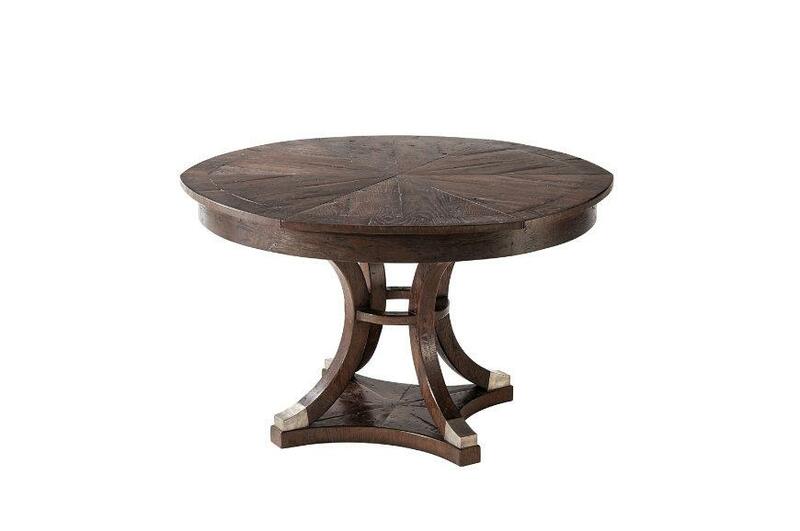 A very sturdy concave base with inswept solid oak legs. 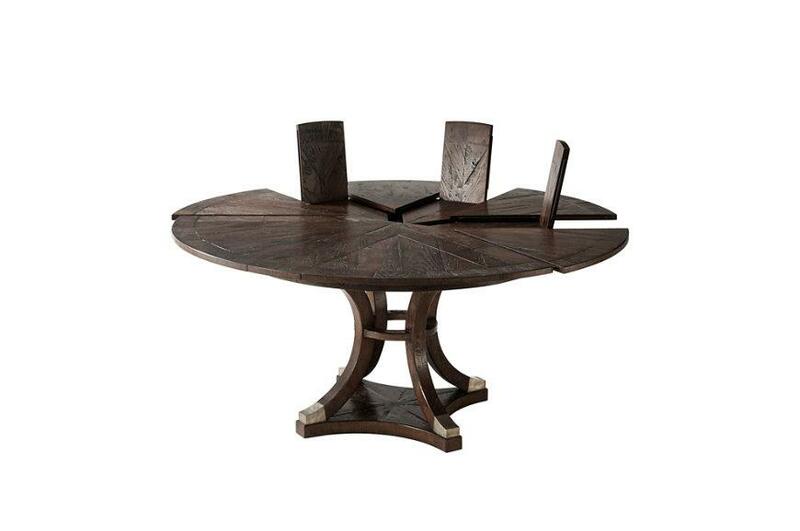 This table will comfortably sit five to seven people.